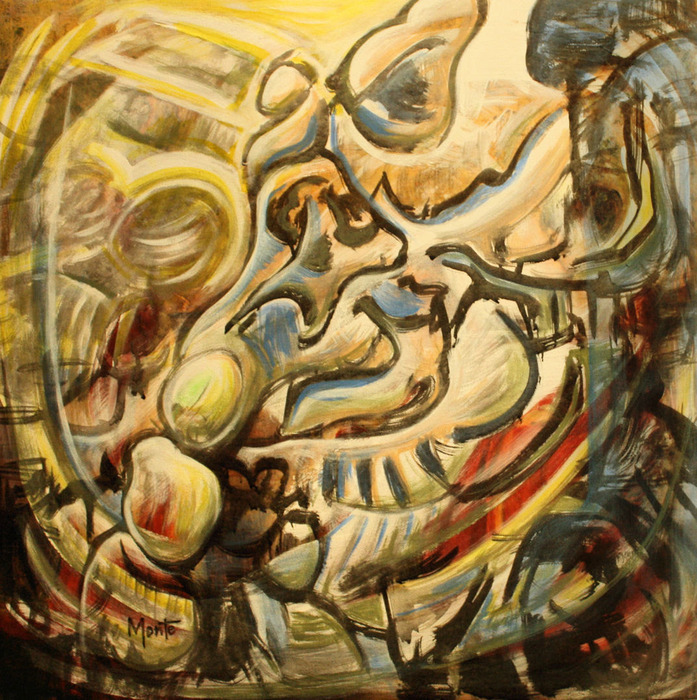 Monte Wright is an internationally recognized artist. 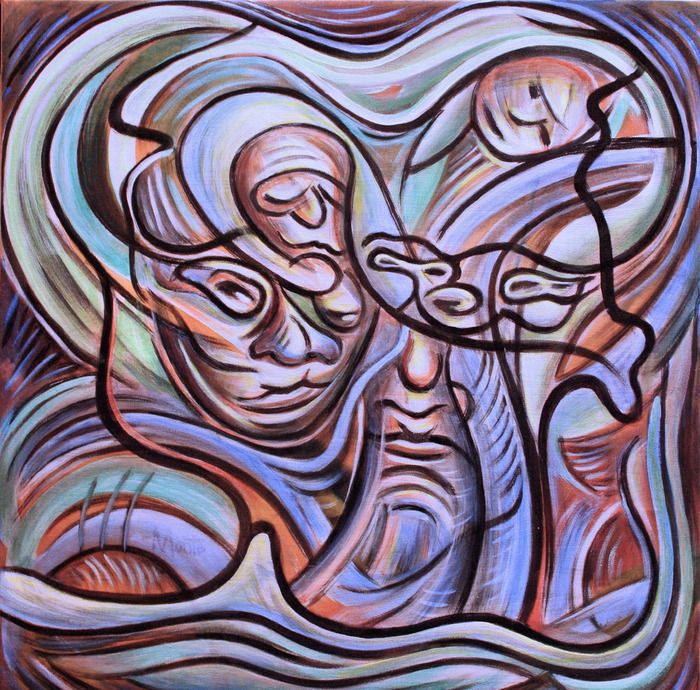 In 2010 and 2011 his art has been shown in New York, N. Y.; Fort Lauderdale, New Haven gallery, Fort Lauderdale, Florida; Florence, Italy; London, England; and Argentina. 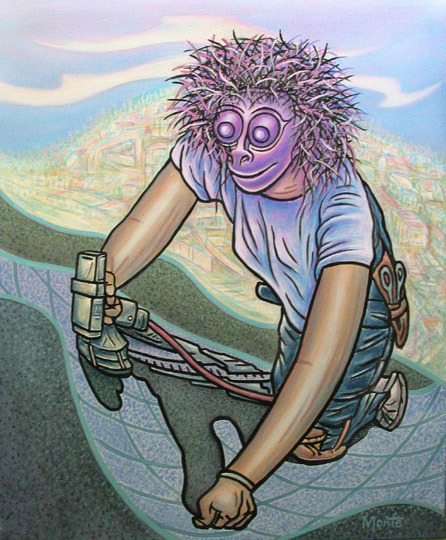 Monte is a mixed-media artist from Kitchener, Ontario, Canada, who has shown his work for over four decades. 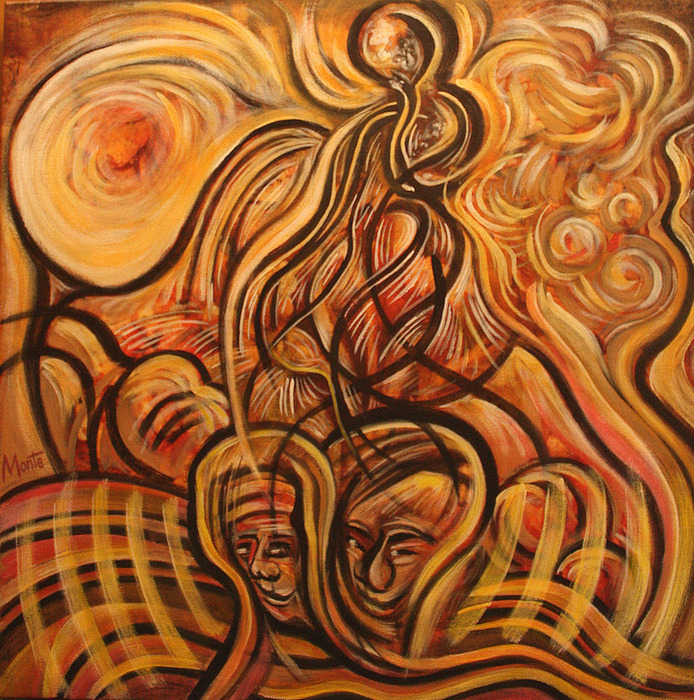 He is well-known in Waterloo Region for his expansive murals and unique art forms. He considers himself a futurist who has always explored new and imaginative concepts. 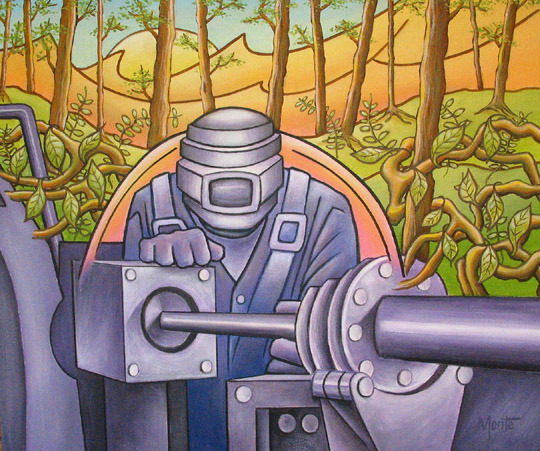 His work is found in many collections throughout Canada and the United States. Example locations are as follows: The Brandon Sun collection in Manitoba; The Fogarty House, Chester, Vermont, U.S.A.; Kitchener Farmers market, Kitchener, Ontario; Creelman Hall, University of Guelph, Ontario; Fellowship of Christian Police officers, Toronto, Ontario; and Tony Flanagan House, Bosham, United Kingdom. Over the years, Monte has been influenced by his Christian beliefs, our natural environment and societal issues. His images welcome the mysteries of form and space through the interplay of light and shadow. He believes that the spiritual co-existence between humankind and our earth express mystery, energy and life. 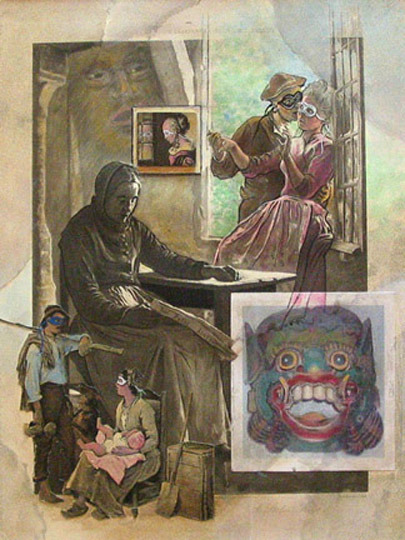 He illustrates this through textured, mixed-media panels and computer-generated prints. 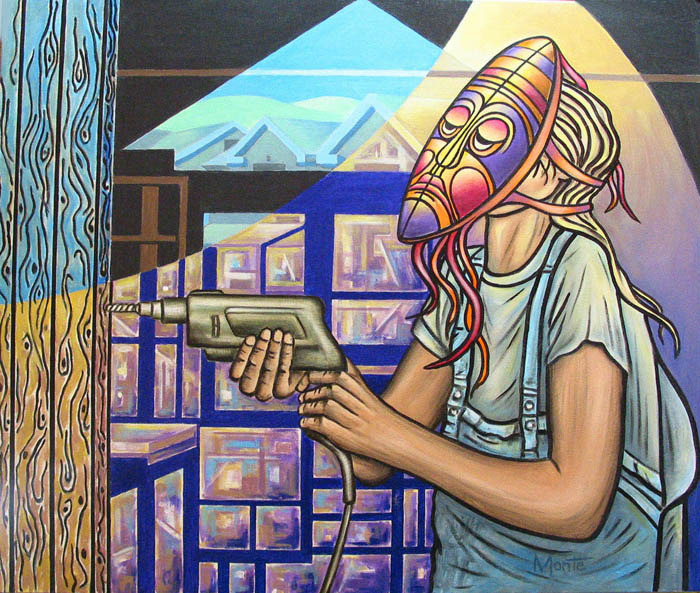 Since 2006 Monte has been exploring a series of work called “Behind the Mask “. 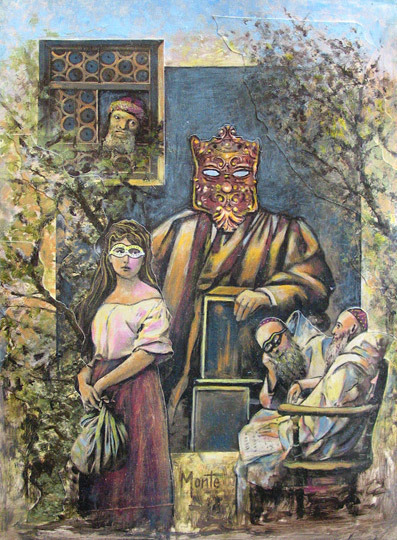 He believes that we sometimes wear masks either for real protection or to hide our true thoughts and feelings. 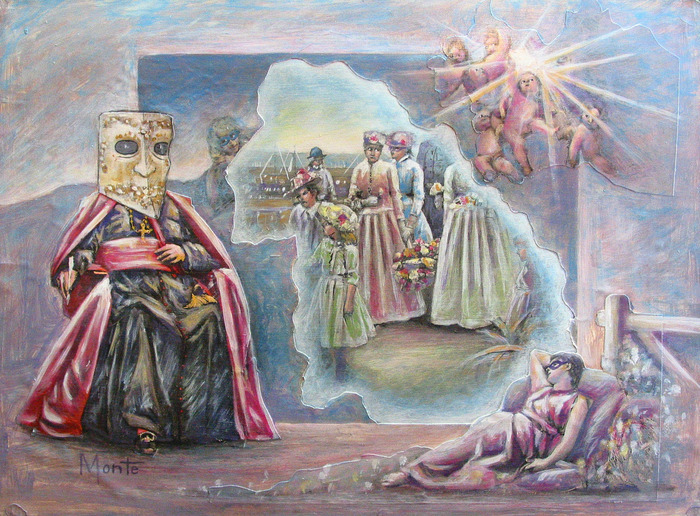 This concept is expressed through varied forms of mediae. 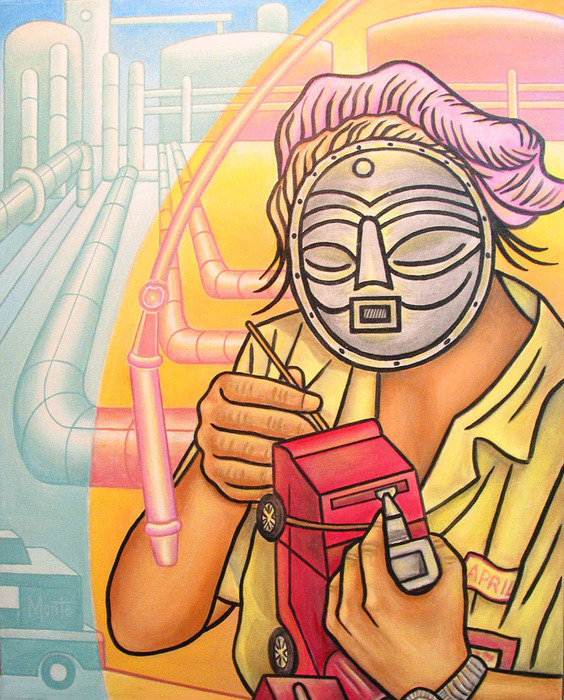 He explores the series “Behind the Mask”by illustrating the concepts of painting workers in an industrial setting and portray acrylic-collaged episodes of people in surreal settings. 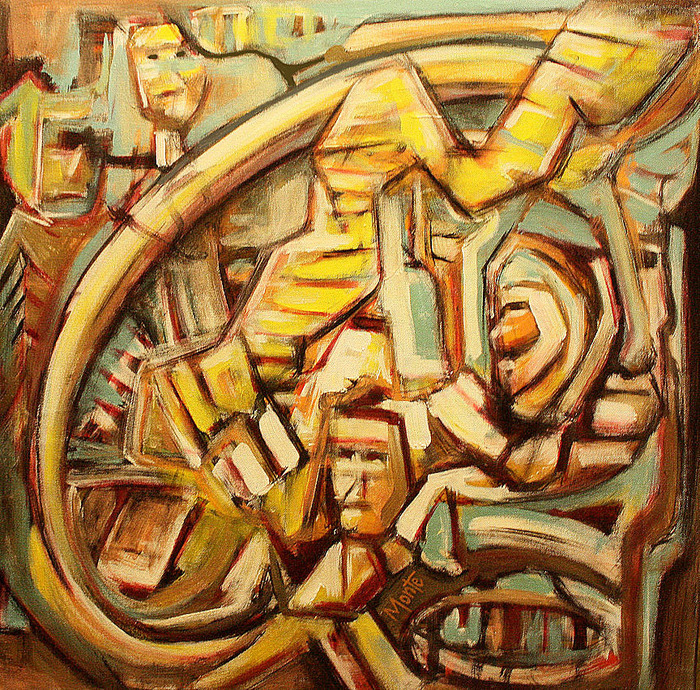 Through either the paintings or collages Monte creates a sense of viewing a new world. 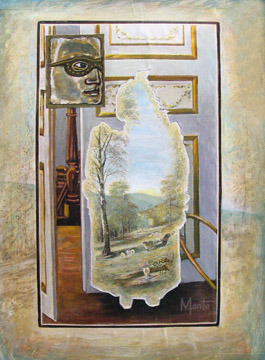 Monte’s art may be viewed at monteartist org or in his latest art book http://www.blurb.com/books/1433236. This masked, female worker is happy with her life as a carpenter. This female worker is equally good as a man working on a housing project. This female, factory worker is creating plastic fire engines but is unaware that she is using up our oil resources. This Christian leader has power over life and death. This woman's life is judged by the male leaders in her society. This little girl's life watched over by the male's in society is a left-over memory. This young girl being courted is surrounded by rules and regulations. 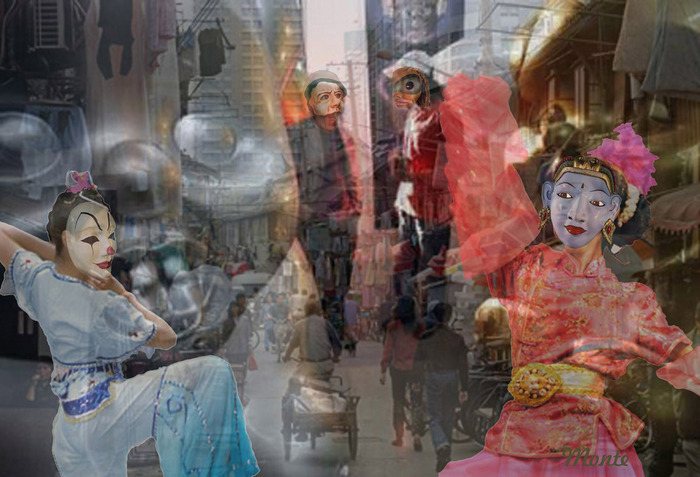 The city dwellers are surrounded by religious symbols and exotic entertainment. 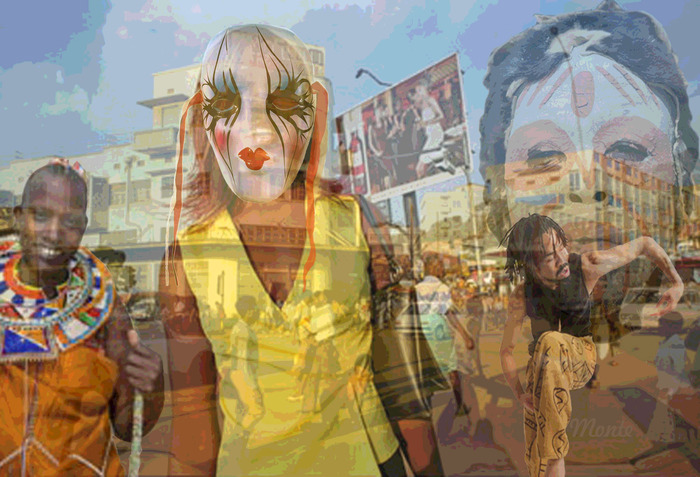 This masked female is a part of the beliefs and feelings throughout the city. 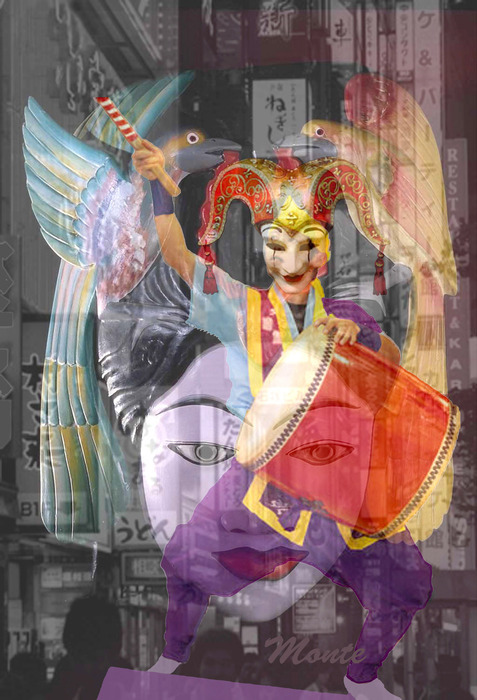 The clown drummer and female image reflect the exciting life in downtown Tokyo. 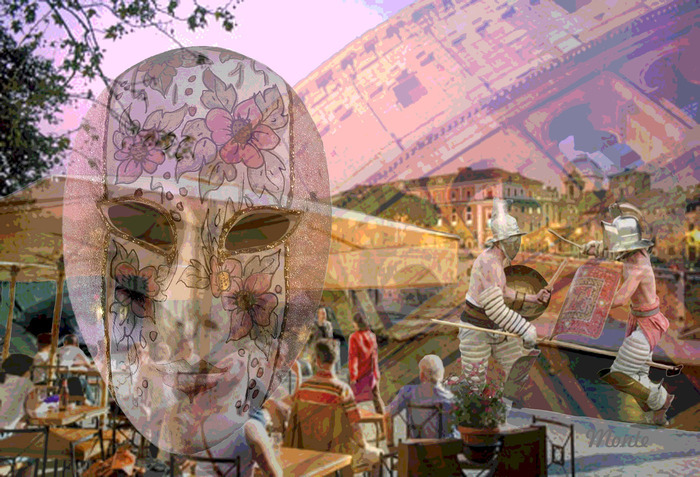 The vibrant life of Rome is reflected through the mask. These new works examine the energy both within the artist and the world around us. 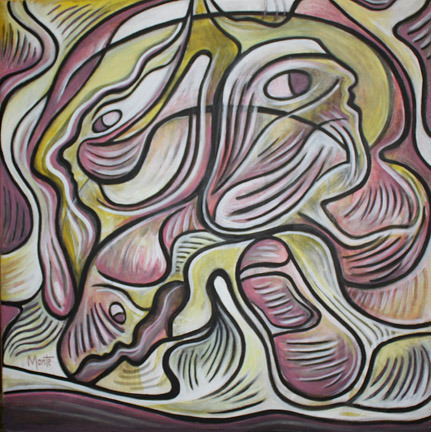 In paintings such as "Sweeping Through" and "Oneness," images of humankind begin to surface throughout the undulating surface. “Linked Forever“ reminds us that we are irrevocably linked with each other and the world around us. This image reflects how a man and woman can be linked together no matter what difficulties they may face. This complex image reflects how we are surrounded by many other people and personalities throughout our life. Often we are swept through life which is totally out of our control. This panel reveals how we can reach our goals in life after many struggles. This image illustrates how we march on through life whils facing many struggles and difficulties.